While its exact date of founding is lost to history, shrine records state that Nou Hakusan Shrine was founded over 2000 years ago during the reign of Emperor Sujin, 10th emperor of Japan. The current main sanctuary (honden) of Hakusan Shrine was built in 1515 and is a Nationally Registered Important Cultural Property. 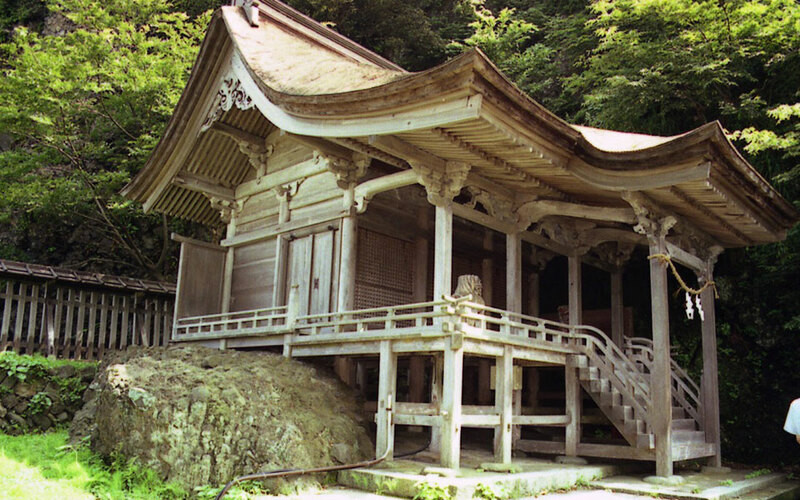 The shrine contains a number of relics of Hakusan Worship and is a bridge to the Nou Region’s ancient history. The Itsukushima Shrine on nearby Benten Rock is considered a satellite shrine of Hakusan. Despite being dedicated to Shinto worship, the shrine also houses several important Buddhist relics, a remnant of the time when the lines between these two religions were blurred. The nearby Nou Museum of History and Folklore features a collection of tools and other artifacts from Nou’s history. 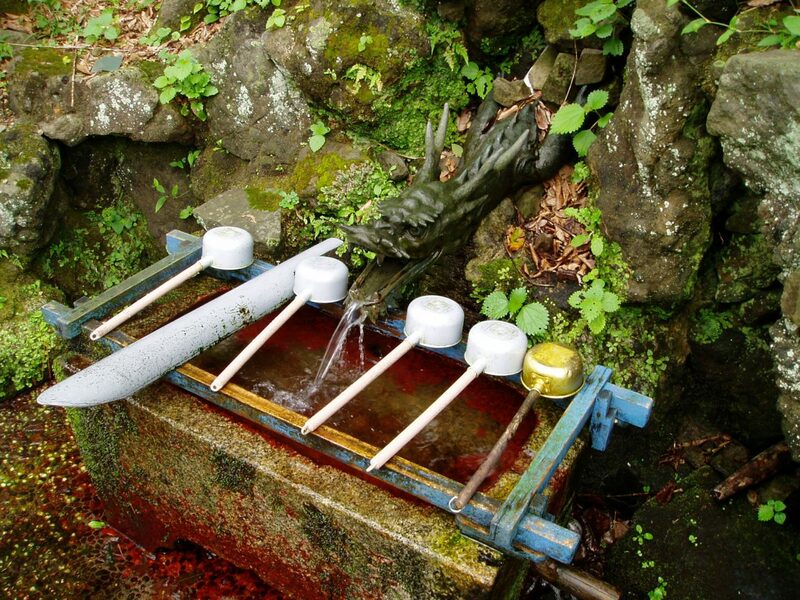 Located behind the large worship hall is a sacred spring which flows from Mt. Oyama. This water is particularly delicious and is a popular source of drinking water for the locals. 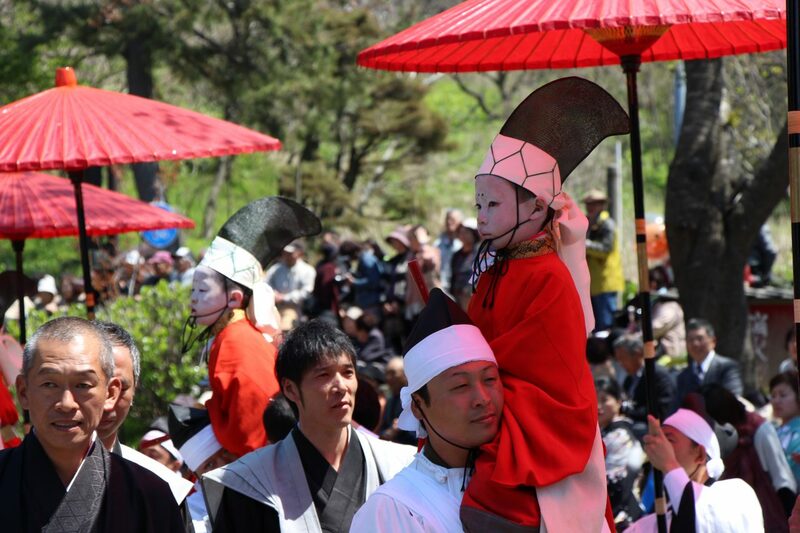 The shrine’s largest festival is held every year on April 24th. It features bugaku court dancing passed down over the centuries. This performance is unique to Hakusan Shrine and is registered as a National Cultural Property.